1.Kushani Shah, Robert H Whitaker, et al. "Specific inhibition of DPY30 activity by ASH2L-derived peptides suppresses blood cancer cell growth." bioRxiv. 2019 February 19. 3.Talha Ijaz. "Fibroblasts: Key Cells in Inflammation and Fibrosis." University of Texas Medical Branch.May, 2018. 30.Liyan Yu, Wanjing Ding,et al. "Induction of cryptic bioactive 2,5-diketopiperazines in fungus Penicillium sp. DT-F29 by microbial co-culture." Tetrahedron. 2017 Jan.
37.Li V C, Kirschner M W. "Molecular ties between the cell cycle and differentiation in embryonic stem cells[J]." PNAS, 2014: 201408638. Description (+)-JQ1 is an inhibitor of BET bromodomain with IC50 of 77 nM/33 nM for BRD4(1/2). BRD4 bromodomain inhibitor JQ1 is highly active against human leukemia OCI-AML3 mutation lines such as nucleophosmin (NPM1) and DNA methyltransferase 3 (DNMT3A). JQ1 causes caspase 3/7-mediated apoptosis and DNA damage response in these cells. 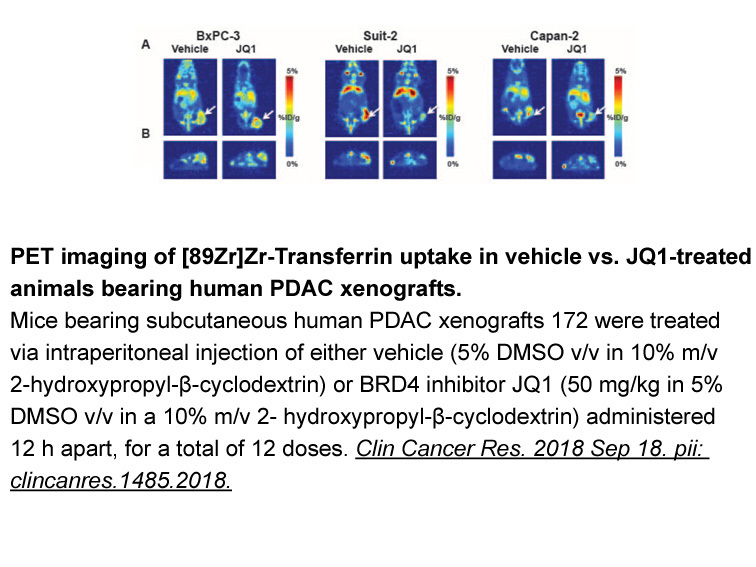 JQ1 prevented BRD4-mediated recruitment of p53 to chromatin targets following its activation in OCI-AML3 cells resulting in cell cycle arrest and apoptosis in a c-MYC-independent manner. 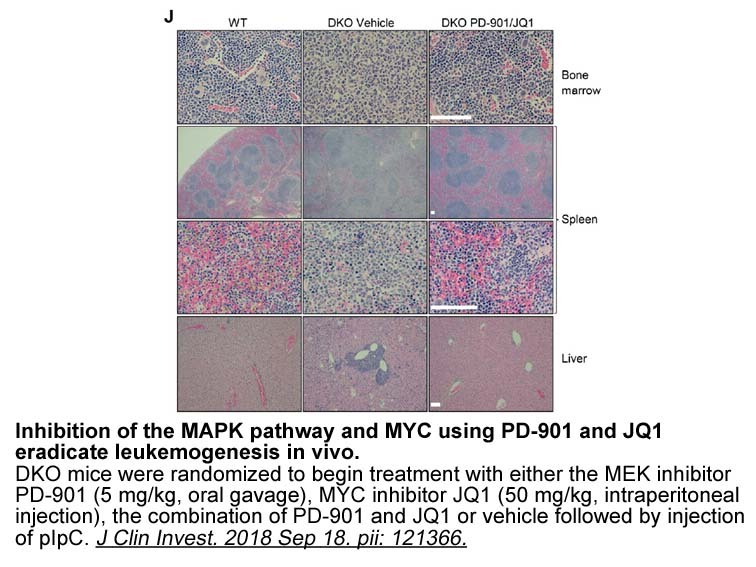 JQ1 ablated cytokine production and blunted the “cytokine storm” in endotoxemic mice by reducing levels of IL-6 and TNF-α while rescuing mice from LPS-induced death. JQ1 benefited hyper-inflammatory conditions associated with high levels of cytokine production.
. Stewart HJ1, Horne GA, Bastow S et al. BRD4 associates with p53 in DNMT3A-mutated leukemia cells and is implicated in apoptosis by the bromodomain inhibitor JQ1. Cancer Med. 2013 Dec;2(6):826-35.
. Belkina AC1, Nikolajczyk BS, Denis GV. BET protein function is required for inflammation: Brd2 genetic disruption and BET inhibitor JQ1 impair mouse macrophage inflammatory responses. J Immunol. 2013 Apr 1;190(7):3670-8. 1. BRD4 associates with p53 in DNMT3A-mutated leukemia cells and is implicated in apoptosis by the bromodomain inhibitor JQ1. Cancer Med. 2013 Dec;2(6):826-35. doi: 10.1002/cam4.146. Epub 2013 Oct 31. 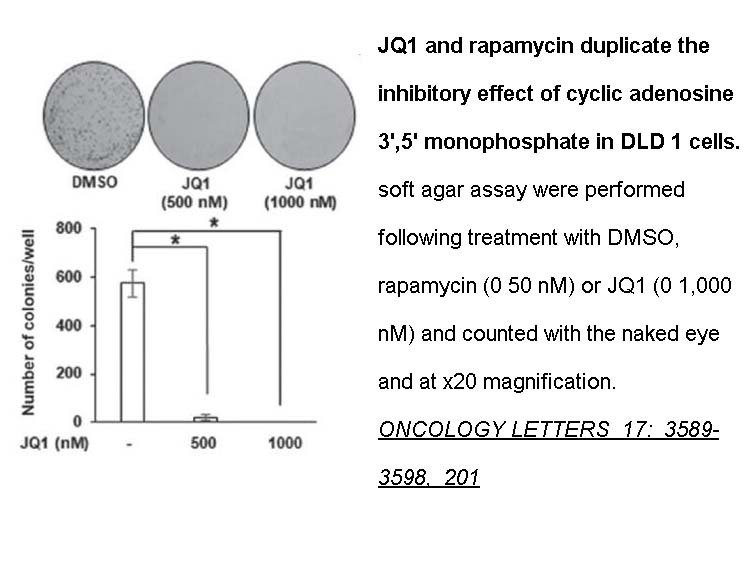 JQ1 induces 3/7-mediated apoptosis and DNA damage response in p53-wild-type (OCI)-AML3 cell lines where it possibly sensitizes AML cells to p53-mediated cell death. A mechanism has been proposed that JQ1 is activated in OCI-AML3 cells preventing BRD4-mediated recruitment of p53 to chromatin targets and eventually leading to cell cycle arrest and apoptosis in a c-MYC-independent manner. The affinities of acetylated histone tails and JQ1 to ten different BRD4 BD1 mutants were analyzed by several complementary biochemical and biophysical methods, in which W81, Y97, N140 and M149 play similarly important roles in the recognition of both. 3. Regulation of MYC Expression and Differential JQ1 Sensitivity in Cancer Cells. PLoS One. 2014 Jan 23;9(1):e87003. doi: 10.1371/journal.pone.0087003. eCollection 2014. 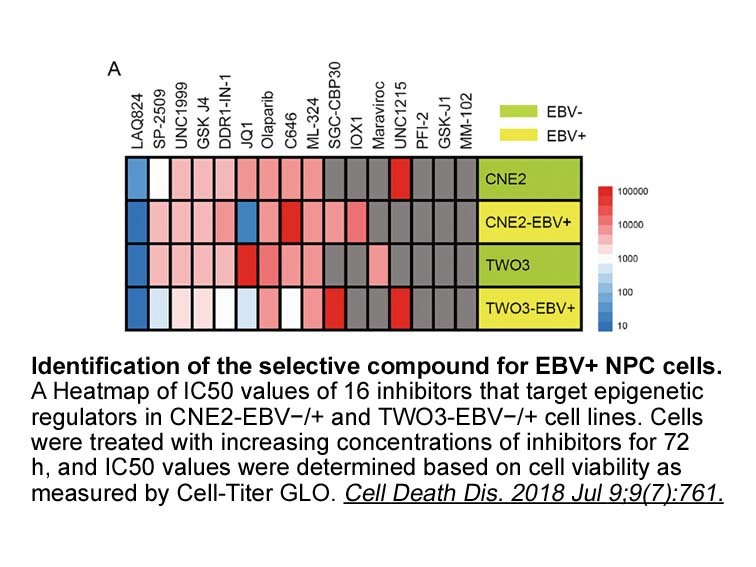 JQ1, an inhibitor of MYC expression, exhibits different inhibition in tumor cells where it decreased ~90% MYC transcription in BL cells and exhibited lesser inhibition in several non-BL cells possibly due to requirements of Brd4, transcription factors (such as Gdown1 and MED26) and other unknown cell specific factors. 4. BET protein function is required for inflammation: Brd2 genetic disruption and BET inhibitor JQ1 impair mouse macrophage inflammatory responses. J Immunol. 2013 Apr 1;190(7):3670-8. doi: 10.4049/jimmunol.1202838. Epub 2013 Feb 18. The critical role of BET proteins in macrophage inflammatory responses has been demonstrated in studies using small interfering RNA knockdown and JQ1 where Brad2 and brd4 doesn’t physically associated with the promoters of inflammatory cytokine genes in macrophages following the inhibition of BET by JQ1. 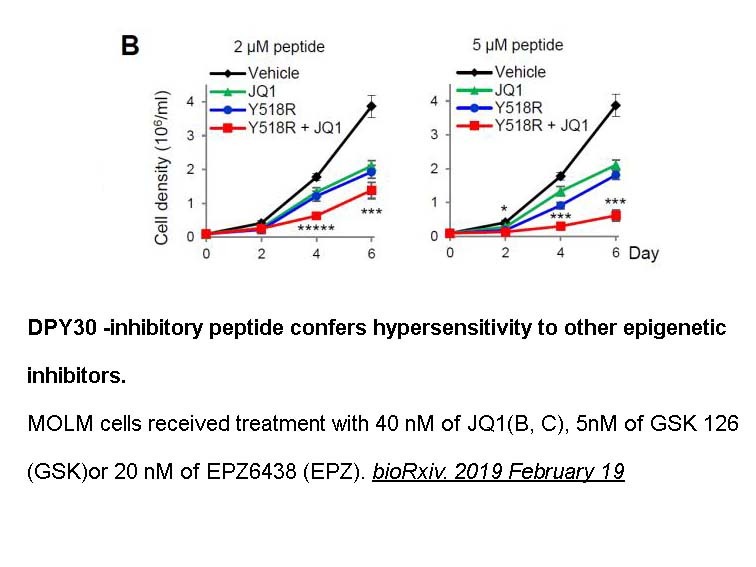 JQ1 reduces the production of cytokine in vitro and weakens the “cytokine storm” in endotoxemic mice through decreasing IL-6 and TNF-α levels while rescuing mice from LPS-induced death. 5. The BET bromodomain inhibitor JQ1 activates HIV latency through antagonizing Brd4 inhibition of Tat-transactivation. Nucleic Acids Res. 2013 Jan 7;41(1):277-87. doi: 10.1093/nar/gks976. Epub 2012 Oct 18. 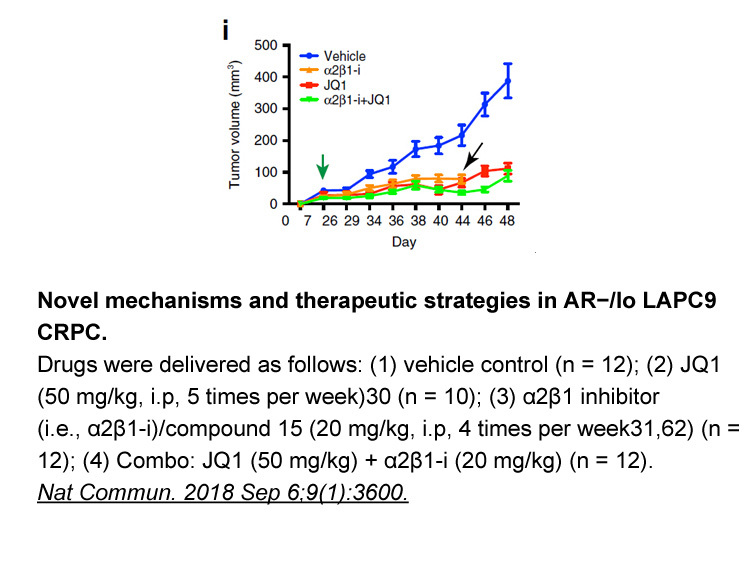 JQ1 dissociates Brd4 from the HIV promoter, synergizes with another latency activator prostratin and activates viral latency without inducing global T cell activation, which allow it and other closely related compounds as well as their antagonization of Brd4 to be used as effective agents/strategies to eliminating latent HIV in further investigations. 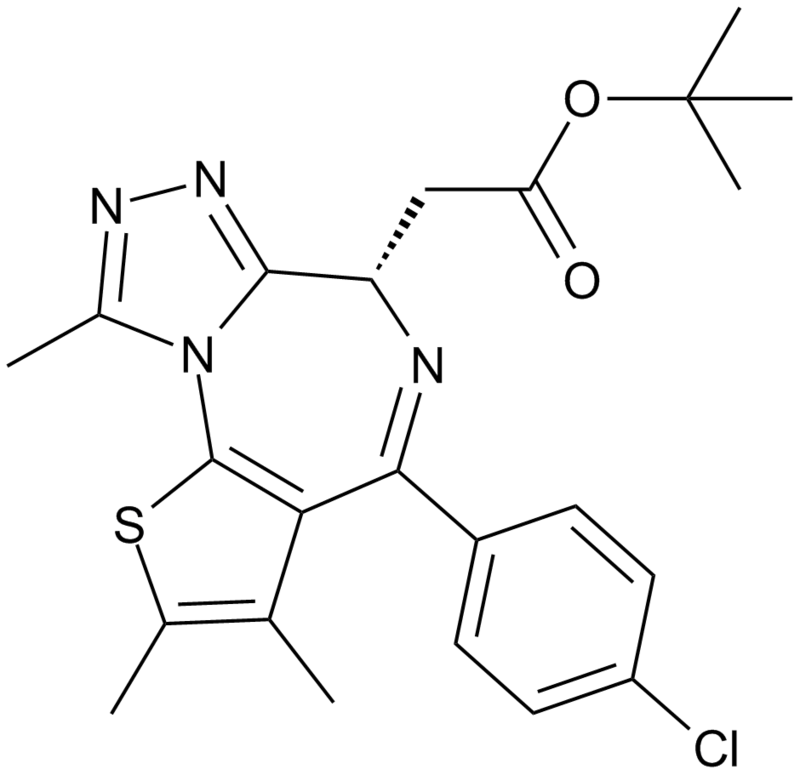 Bromodomain Inhibitor, (+)-JQ1 is a potent and highly specific inhibitor for the BET (bromodomain and extra-terminal) family of bromodomains. (+)-JQ1 binds to BRD4 bromodomains 1 and 2 with Kd values of ~ 50 and 90 nM, respectively. The binding is competitive with acetyl lysine. (+)-JQ1 can be a useful chemical probe to investigate the role of BET bromodomains in the transcriptional regulation of oncogenesis. 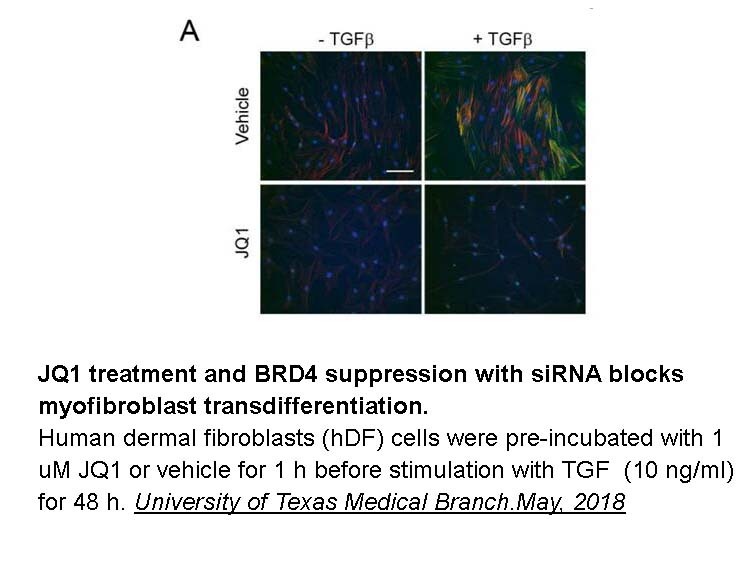 JQ1 does not produce sedative or anxiolytic effects and is instead a potent and selective inhibitor of the bromodomain testis-specific protein BRDT , which is essential for chromatin remodeling during spermatogenesis. By blocking BRDT, JQ1 effectively blocks the production of sperm in the testes and consequently produces effective contraception, without the negative side effects associated with previously researched hormonal contraceptives for men. 1. Matzuk, Martin M., et al. "Small-molecule inhibition of BRDT for male contraception." Cell 150.4 (2012): 673-684. 2. Filippakopoulos, P.; Qi, J.; Picaud, S.; Shen, Y.; Smith, W. B.; Fedorov, O.; Morse, E. M.; Keates, T. et al. (2010). "Selective inhibition of BET bromodomains". Nature 468 (7327): 1067–1073.